﻿ Cristiano Ronaldo: "Regardless of what happens on January 7, I'll keep being the same person"
20.12.2012 » Ronaldo: "Regardless of what happens on January 7, I won't change"
With almost an entire week without any scheduled games for Real Madrid, Cristiano Ronaldo took the opportunity to grant an interview to FPF (Portuguese Football Federation), where he has naturally put a high focus onto the Portuguese National Team campaign for Brazil's 2014 World Cup. CR7 also reassured that he won't drop his arms if he loses the FIFA Balon d'Or award, since he will keep being the same person he has always been so far. With one game left in La Liga before the end of the year, Cristiano Ronaldo has agreed to concede an interview to the Portuguese Football Federation this past Wednesday, where he approached his journey with the National Team so far, but also left a few words about the most anticipated FIFA Balon d'Or 2012 award, to be delivered on January 7, 2013. 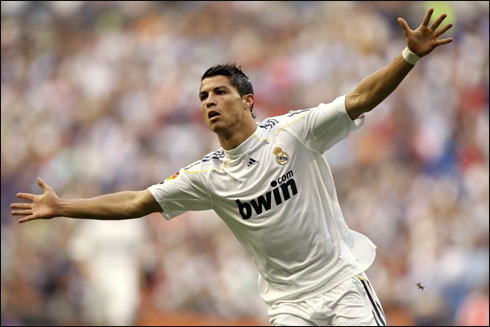 Ronaldo has scored 23 goals for Real Madrid during the 2012-2013 campaign so far and will surely look forward to help the Merengues beating Malaga next Saturday, in La Liga's Matchday 17. Cristiano Ronaldo: "Whatever is decided on January 7, might make me either very happy or very sad, but that's the law of life. I cannot live my life depending on the fate of one individual trophy. What I can assure you is that I'll keep being the same person, training and playing as I've always did, regardless of the result that will come out that day...", promised Ronaldo, anticipating the expected tension of the forthcoming FIFA Balon d'Or award. The 27-years old forward then once again confessed that the Balon d'Or remains being a trophy that he aspires to win nevertheless. Ronaldo: "I would be an hypocrite or a liar if I said that I didn't want to win this award. However, I want to reaffirm that not winning it won't make me a different person". 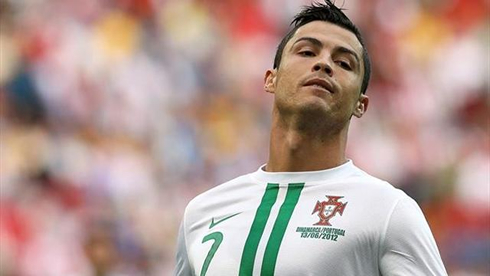 As for his experience as a Portuguese National Team player, Ronaldo is definitely proud of wearing his country jersey, everytime he gets a chance to do so. Cristiano Ronaldo: "To be in the Portuguese National Team is pretty much the peak for me. I don't see it as a privilege though and it's not by accident that I've recently reached my 100th cap, something which only two players in the past achieved (Luís Figo and Fernando Couto), and I've done it being only 27-years old. Cristiano Ronaldo made his debut for Portugal in August 20, 2003, when he was only 18 years old. It was naturally a day that he will never forget, as he would step in during the 2nd half of a game between Kazakhstan and Portugal, replacing the legendary Luís Figo. 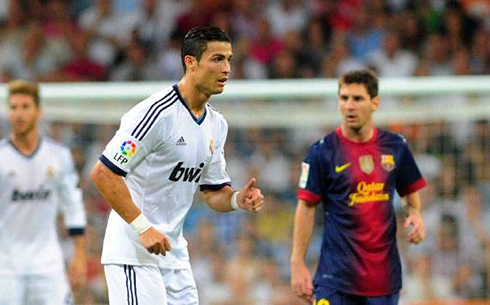 Ronaldo: "I was nervous, really nervous... I had the number 16 on the back of my jersey and I remember being on the bench anxious and hoping to make my debut that day. Fortunately, it ended up happening and it will always be a moment I'll deeply cherish", pointed out CR7, who got his first cap for Portugal under the reign of the Brazilian coach, Luiz Felipe Scolari. Portugal has been very close to win a big tournament over the last years, but for one reason or another, the team always seems to fall short when the decisive moments arrive. The Real Madrid superstar said that it's about time to change that sad fate. Cristiano Ronaldo: "The most important thing will always be the team trophies. We should have already won something by now, because of what we've been doing over the past years and the way we've been playing. I know it will always be a very hard task, but we've been very close to win an important tournament in recent years. We can simply look to the last European Championship, where we were knocked out at the semi-finals and only during the penalty kicks stage, against the Spanish National Team. 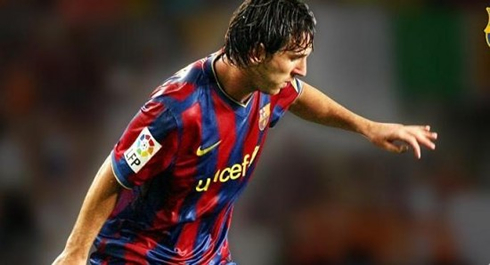 We've been lacking a bit of luck in some key moments...", analyzed the former 2008 FIFA Balon d'Or winner. Cristiano Ronaldo: "We shouldn't be over dramatic when we talk about our current situation in the 2014 World Cup qualification group stage. If we look into our recent history, Portugal has always struggled to qualify to the final stage of the competitions, and I'm confident we'll get through again this time. I have a feeling that next year will be great for us. Portugal is currently ranked 3rd at the 2014 World Cup Qualification Stage, in Group F, with the same points as Israel (7), and 5 less than the group leaders, Russia (12). The last two results were quite disappointing, since the "Lusitanos" lost 1-0 against Russia and got held to a draw at home, against Northern Ireland. Portugal's next game will be an away fixture against Israel, on March 22, 2013. Cristiano Ronaldo will have his next fixture for Real Madrid against Malaga, for the Spanish League 'La Liga', this Saturday (December 22, 2012). 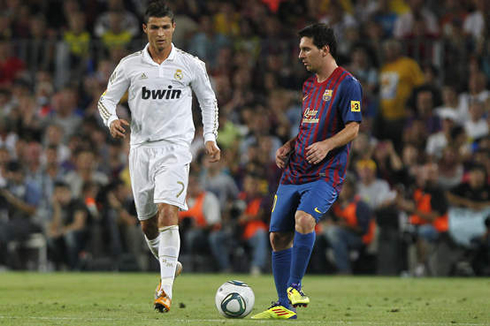 You can watch Juventus live stream, Malaga vs Real Madrid live, Valladolid vs Barcelona live, Manchester City vs Reading and Wigan vs Arsenal, all matches provided from our soccer live streaming section.